The Sapphire is the ultimate at-home retreat. 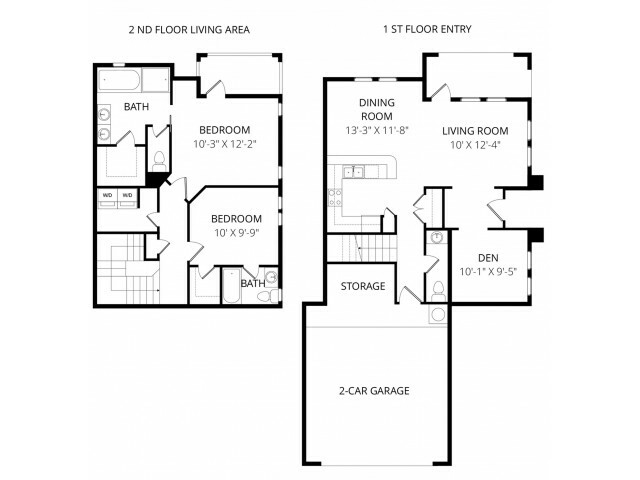 This 2 bedroom 2.5 bathroom townhome includes direct access to a 2-car garage, and a separate den ideal for use as an office, play room or theatre. The spacious kitchen contains granite countertops, stainless steel appliances & a built-in pantry. The master en-suite bathroom comes complete with dual vanity, roman soaking tub, a separate shower and walk-in closet.